GolfPH Privilege Membership is a fee-based golf membership program that provides its members with various golf & travel privileges. 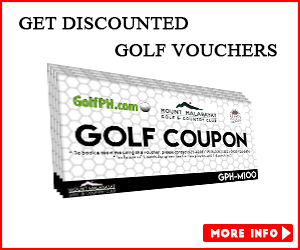 The GolfPH card and Privileges are provided for your exclusive use as a Member and are non-transferrable. GolfPH Members are entitled to an unlimited use of the GolfPH Concierge Services and Tee time Bookings for duration of Concierge subscription. All Privileges are subject to availability and are subject to other privilege specific terms and conditions where applicable, which will be provided separately. GolfPH and its affiliate golf courses and partner companies reserve the right to substitute or withdraw any offers, or limit their availability, at any time. GolfPH has the right to suspend or terminate your membership and your Privileges as a member, if at any time for any reason GolfPH refunds to you the pro-rata amount of the Membership Fee paid for the unexpired portion of the then-current term, or if you violate any of the GolfPH program rules. The GolfPH Membership Dashboard was created to keep our members in the loop for information such as course prices, events, promotions and policies. The Dashboard can also be used as a tool to join groups, meet new playing buddies and network with our members. This is where you can access your profile, update it, and add content to your personal profile. This displays all of the upcoming events that we have planned in the coming months. The Concierge Booking program was developed for our members as an added benefit to make their golfing experience easier. By signing up for the concierge program, you will be assigned your very own account rep, who would be in charge of helping you book your tee times, providing you accommodations such as hotel or car service, and be there for you in case you have any golf related questions at all. Special Concierge Line for Bookings, Accommodations and Other Info. Tee Time Reservations - All tee time reservation must be made at least 48 business hours in advance of requested play time. Some courses may require a 1 week booking period, but you can inquire with you account rep for any special instructions. Cancelations - you must inform GolfPH of any cancellations in your tee time booking at least 24 business hours before you reserved play time. Failure to inform us of any cancelations after a reservation is met can result in a penalty or suspension of services. Business Hours – Tee time reservations must be made during Office Hours. Regular, non-holiday business hours are M-F, 9:00 am – 5:00 pm. Send an email to [email protected] with your tee time request details. wait confirmation via email from a GolfPH representative between the hours of 9AM-5PM (Monday-Friday). If you do not hear back within these hours, please contact us via phone in case we did not receive your email. Q. What are theGolfPH affiliated golf courses and rates? To get the full list of golf courses available, please visit our Course Listing section located in your GolfPH Membership Dashboard. You will also find a list of our updated rates. Q. 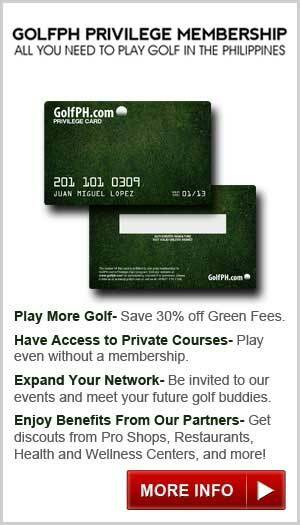 Do I have to present my card everytime I play at a GolfPH affiliated golf course? A. Yes. To insure your ability to play, please make sure to book your tee time through [email protected] If you have any problems, you can contact your GolfPH account rep. Our special arrangement with the golf courses requires you to identify yourself as GolfPH Members. Failure to do so can result in the inability to play. Do not be alarmed if the course representative does not recognize the card. We often encounter a high turnover in staffing at each course, which can lead to situations such as this. If you have any problems, please contact us right away. Q. I called the Golf Course and they’ve never heard of GolfPH? A. Yes, although this is not a requirement with all courses, we do want to make sure that you are well taken care of because you deserve the best possible service for all your golfing needs.The majority of our affiliated golf courses do require a GolfPH representative todo the booking for each of our member to insure quality control. The courses that do not require a reservation are Villamor, Navy, and Club Intramuros. For thesecourses, all you have to do is show your GolfPH Membership card. Q. Do I need to book my tee times through GolfPH? A. Yes, from time to time, you will encounter a course representative that will say that he/she has never heard of GolfPH. Although, we do have affiliation contracts with all our listed courses, we do not have control over the turnover of employees and notification system at each course. Also, it is a part of our contract that states that GolfPH will uphold and follow any privacy clauses set before us, which can include the inability for our members to directly call courses unless booking through our concierge. This allows for quality control and insures that all our members follow course rules each time they play. Q. Can I bring a guest when I play and will he be given the same rate as me? A. Yes! All you need is a GolfPH Buddy Pass! One of your privileges is to extend your membership benefits to any guest or visitor that you want. To extend these membership benefits to your guest, there is a playing access fee of 700PHP, which includes the temporary registration with the golf course of your choosing and with GolfPH. As a GolfPH member, you will however receive a discounted rate of 400PHP per person per tee time reservation, which will allow you to freely bring any guests you would like to the courses we are affiliated with. Q. What if I didn't show up to the golf course where I made a reservation due to bad weather or emergency, what happens then? A. To avoid any cancelation penalties or restrictions on your playing benefits, we ask that you notify us at least 24 business hours before your scheduled tee time reservation. If in the situation that our office hours are not open, we ask that you send us an email to [email protected] and/or call the course to insure your reservation is canceled. All “emergencies” are subject to approval to avoid any penalties. No refunds will be issued due to weather or emergency. Q. What if I need a golf instructor, will you help me find someone? A. 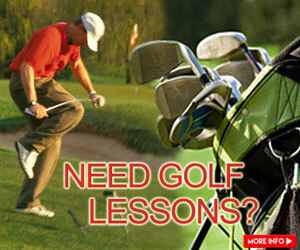 Yes, we are affiliated with a number of golf instructors depending on your level of golf knowledge and your needs. Email your account representative and he/she will send you a recommendation. Q. Do you provide Handicap Service? A. Yes. Please visit http://www.golfph.com/golf-handicap/ or contact your Account Rep to get more information. Q. What if I lost my GolfPH Card? A. Don’t worry! If you lose your GolfPH card, notify your account rep right away and we will send you a replacement for 300PHP within 72 business hours. Having your handicap index will let you more aware of your golfing ability to push it to the top. And through us, we will help you achieve it. Helps improve your game by tracking your progress and giving you a goal to shoot on your next game. Be part of a community. Compare your scores with your friends and see others stats. A minimum of 5 scorecards are necessary in order to get an official NGAP handicap index. Scorecard must be submitted by the 22nd of each month to be included in the NGAP's current month's index. We will also notify you how many scores are lacking to complete the required number. Once the required number of scores is completed, we will then be able to determine your handicap index. A certificate will be issued to you, which now you can use every time you will play. Q. Can I still submit a scorecard before I was registered with GolfPH handicapping program? A. Yes. As long as the score isn’t more than a month old from the time you registered. Q. What if my score is not as good compared to other scores I had? Is it required for me to submit it? A. No, it's not required. You will have the option to choose which score card you will be submitting to us. The good score it is, the better. Q. What if I have a score card from the US? Will GolfPH accept it? A. Yes. As long as it's rated by USGA. Q. I have already submitted my 5 scores and I have not yet received my Handicap Index Certificate. Why? A. here are cut-off dates for submission to the NGAP each month. If you missed this date, you will then have to wait for the following month to have your scores tallied and have your Certificate printed. Indicate if the car service will just drop you off to the golf course or if it will also take you back to your original pick up point. You will then receive a quotation from your account representative about your car service inquiry. Confirm by emailing your AR back if you are ok with the quotation. Pay through Paypal or BPI Bank Deposit. Email a copy of the Deposit Slip. You will then get an Itinerary confirmation for your trip. Indicate if you're a lefty or righty user. Your AR will then send you the amount of rental. Confirm by emailing back that you will take it..
Pay directly to the golf course.